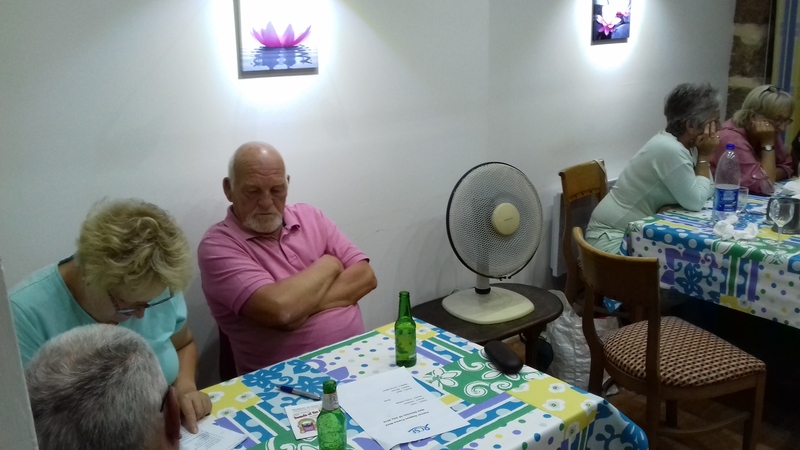 7pm on the dot the teams started to arrive for the Cancer Support France Nord quiz night. Seven teams competed to see who the winner on the night would be and to see which team would be in last place and receive the coveted wooden spoons. Martin, our quiz master for the evening, had prepared six rounds of fiendish questions. Silence fell on the room as the first questions were asked. After three rounds there was a welcome break for a delicious supper, prepared by Chris & Nick (many thanks). Then the quiz continued with an increase in the competitive banter. A fantastic evening was had by all. Why not come along and join us for the next quiz in September.